No we arent talking about CBeebies, its Sarah Beeny in a brand new series on the BBC at 8pm tonight. Sarah Beeny is the English property developer and television presenter, best known for presenting the Channel 4 property shows. Sarah has for many years served the audiences on Channel 4 well, but now she takes on a whole new audience in her new show called Village SOS. Village SOS is produced by BBC Wales for BBC One and follows an attempt to breathe new life into rural villages fighting to survive by starting up new businesses. 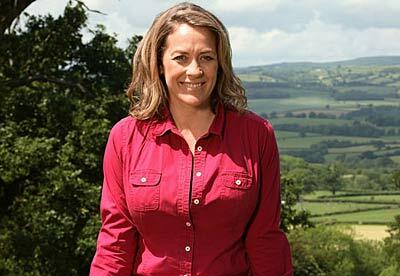 Sarah Beeny has had success with other shows including Property Ladder and recently two series of Help my house is falling down! In Village SOS for BBC One, Sarah Beeny follows the triumphs, tears and tantrums in six villages around Britain as they take on ambitious schemes to start new businesses and revitalise their local communities. Sarah, who maintains her own property and investment business and owns successful internet sites as well as being one of TV’s best-loved home improvement experts, follows the progress of the villages as they tackle the realities of turning their brilliant first ideas into viable business projects. Village SOS gets a prime spot at 8pm on a Wednesday, the first episode sees Talgarth – a Welsh village once described as the jewel of the Black Mountains – where the locals have secured lottery funding to restore the mill that was once a focal point of the village. The plan is to turn it into a new tourist attraction with a brand new bakery and 50-seater cafe attached. Everyone is hard-working and enthusiastic as they aim to have the place up and running for National Mills Weekend.